Please read the following to learn how to apply for scholarship assistance. When granted, you will be able to adjust the cost of the Gathering at the time you register. Matt Jones Scholarship Fund provides travel scholarships and registration costs (including meals) for young people (25 years or younger) and people of color wishing to attend one of PMN’s two annual gatherings. Scholarship applicants may request up to $50 in travel stipends to reimburse for the cost of travel. PMN offers financial aid on registration costs to all members based on financial need. The Matt Jones Scholarship Fund is an addition to this baseline of financial aid in order to extend PMN’s commitment to foster a multi-racial and inter-generational artistic and political community. To apply for this scholarship or to get in touch about making a donation to this fund, contact ben.grosscup@peoplesmusic.org with the SUBJECT: “Matt Jones Scholarship Fund”. Matt Jones was an activist in the Student Non-Violent Coordinating Committee (SNCC), which was one of the leading organizations in the Civil Rights Movement. Matt was also a founding member of the organization’s singing ensemble, “The SNCC Freedom Singers”, which toured the United States as part of an organizing drive to build the Friends of SNCC. 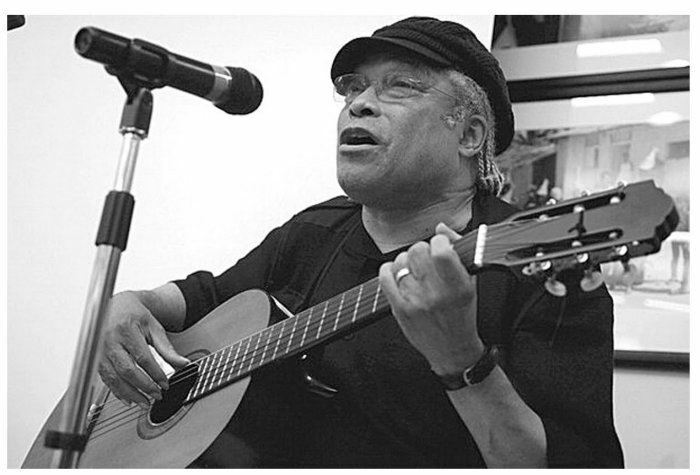 Jones said of the Freedom Singers, “We were organizers first, singers second.” Matt wrote many songs and stayed engaged in People’s Movements throughout his life. He was a stalwart figure in People’s Music Network for many years. He lived from September 17, 1936 – March 30, 2011. PMN remembers his legacy of promoting racial justice and building a multi-racial and inter-generational movement by inaugurating this fund in his name.